On September 20, 2018, the S&P closed at an all-time high. Then came the new era of volatility. Despite the economy expanding at a rate not seen in many years, mostly favorable corporate earnings reports, strong consumer spending, tepid inflation, and plenty of jobs, investors ended the year feeling anxious and often afraid. As a result, the S&P declined more than 14% in Q4, wiping out earlier gains and closing down 6.24% for the year. The news media is awash with speculation as to the causes, and with every overwrought pundit and fantastical headline, the market seems to overreact. Yet despite a disappointing Q4, the aging bull did deliver positive highlights. The economy expanded at an annual rate exceeding 3.0%. Unemployment reached the lowest point since 1969. Consumer income rose and purchases increased. There are not more sellers than buyers in the market. For everyone selling shares, there is someone buying. This interplay between buyers and sellers is how market participants drive price equilibrium. Our free market economy will always experience periods of both growth and recession. Economists agree that we are in the late stage of a growth cycle. At this stage, the economy is still growing, but at a slower rate. Wise investors don’t get distracted by the short game but focus on long-term growth. No one can reliably predict the timing or severity of a recession, but we’ve been here before. Since 1980, despite annual pullbacks, stocks have returned a compound annual rate of return of 11%. Perhaps what is most important is that your portfolio is invested in high quality, diversified investments to protect you from excessive downside risk. And if you’re not mentally prepared for the ‘weather of the day,’ rest assured that we are here to help you benefit from the ‘climate of the era.’ When you need a team to get you through the storms, we are always here to help! Thirty years ago, it happened to me. Someone I knew well, a friend who had spent time in my home and who had access to my personal information, stole my identity. It’s a widespread problem, and it’s only getting worse. During the 2013 holiday season, hackers stole 40 million debit and credit card numbers from Target. Neiman Marcusand Michael’s were hit the next January, and the 2014 epidemic continued with breaches at P.F. Chang’s China Bistro, Albertson’s, and UPS. This year, the IRS announced a huge breach in which stolen Social Security numbers were used to file more than $39 million in fraudulent tax refunds. Just last month, UCLA Health announced that hackers had gained access to the personal information of more than 4.5 million people. Clearly, no matter how quickly the government or other organizations and corporations work to fight new attacks, hackers are working just as furiously to identify new ways into the systems that house our personal data.The result: there’s a better chance than ever that, sooner or later, you too will be a victim of fraud. And while you may not be able to prevent criminals from accessing your data held in someone else’s database, start with these basic steps to keep your data as secure as possible. 1. Make “password hygiene” a priority. Passwords are a necessary evil for protecting your information. The new iPhones and iPads use fingerprint authentication for access (it all feels very James Bond! ), but for other devices and online accounts, it’s important to use strong passwords and to change them regularly. Never write passwords on Post-its, in notebooks, or saved in a Word file. Instead, consider using an encrypted password management app like KeeperSecurity. 2. Be cautious when shopping online. E-commerce consumer sales hit $1.5 trillion last year. That’s a lot of online shopping—and a lot of opportunity for online theft. Internet scams are becoming more elaborate, so be sure any site you use encrypts your personal information. If the company’s URL begins with “https” (note the ‘s’ for ‘secure’) or has a padlock icon next to it, security measures are in place to protect your personal information. Only use a private internet connection for banking or making purchases—never enter secure information when using a public wifi. My personal rule: use credit cards—not debit cards—when shopping online to protect your cash in case of fraud. 3. Shred documents that contain personal information. Shredding may seem like a basic practice, and while (I hope!) you’re not tossing your bank statements into the trash, it’s easy to forget how much personal information is included on bills, receipts, forms, insurance statements, and other records. Criminals can use this information to piece together data to create fraudulent accounts in your name. When you can, opt-in for electronic communications, but be sure to remove and destroy all downloaded information and stored passwords before recycling or donating your computer. 4. Protect your personal information. No matter how much trust you have in those around you, remove the temptation by protecting your personal data—especially your Social Security number—even in your own home. When you do need to share information (when making a purchase, completing a transaction, etc. ), take similar steps to protect yourself. Never provide personal or financial data to a caller, no matter who they claim to be; legitimate sources value your security and will not ask you for secure data over the phone. The IRS NEVER, EVER calls by phone. Financial institutions don’t ask for sensitive information via email, so if you receive a legitimate-looking email asking you to click on a mysterious link or requesting your Social Security number or password, call the official customer service number or go directly to the known website. Never use the “phishing” link provided in the email. 5. Check your credit activity and financial accounts regularly. Monitoring your credit report information, account balances, and financial transactions regularly can help catch fraud and stop it before it becomes a problem. I use a personal financial management app from Intuit called Mint to receive activity alerts and pending charges to my credit accounts, and automated account alerts from Chase and American Express. CreditKarma offers a free credit monitoring service that will notify you when something significant changes on your credit report. And requesting and reviewing your free credit reports each year from AnnualCreditReport can help you identify and rectify any issues to help maintain an accurate credit score. If you are dealing with fraud, consider placing a credit freeze on your account that requires institutions contact you before approving any new request for credit. It’s happened to me! What now? Yes, fraud can be difficult to manage, but it is possible to reduce any long-term impact on your credit. The key is to take an active role in protecting your privacy, and take swift action if you do fall victim to a scheme. 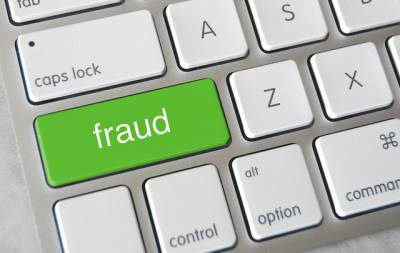 Have you been a victim of fraud? Please share how it happened and what you did to rectify the problem. Your experience may help us help someone else facing the same challenge.